In my Blog section I shall be discussing problems that can be cured by physiotherapy means particularly the treatment that is provided at Pain Free Physiotherapy Clinic. 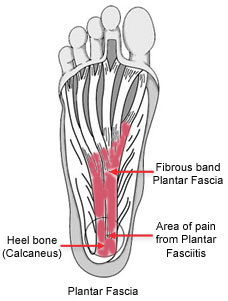 Plantar fasciitis, one of the common causes of pain in heel, is due to irritation and inflammation of plantar fascia (a long thin band that connects heel to front of toes, and supports the arch of the foot). The plantar fascia is designed to absorb the high stresses and strains we place on our feet. But, sometimes, too much pressure damages or tears the tissues. The body's natural response to injury is inflammation, which results in the heel pain and stiffness of plantar fascia. Having flat feet or high arch feet. 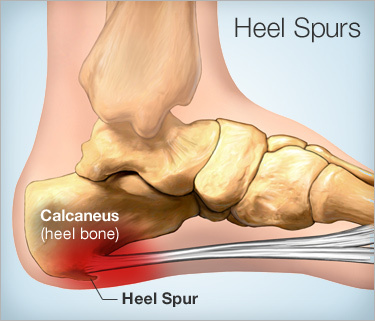 Heel spurs are often associated with plantar fasciitis, though are not the cause of pain most of the times. One out of 10 people has heel spurs, but only 1 out of 20 people (5%) with heel spurs have foot pain. Because the spur is not the cause of plantar fasciitis, the pain can be treated without removing the spur. Greater pain after (not during) exercise or activity. Limited "up" motion of your ankle. Conservative: Conservatively patient can be managed with physiotherapy, which may include cold therapy, contrast bath or hot fermentation depending upon the pain, stretches (plantar fascia and calf), and myofascial release. Ultrasonic therapy and LASER have proved beneficial in the management of plantar fasciitis. Muscle stimulation can be implemented in cases of flat feet. 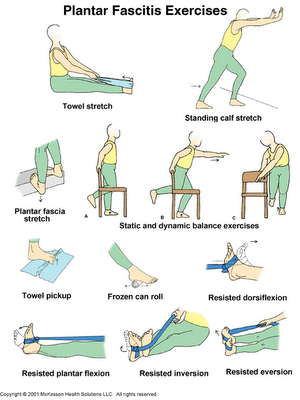 It may include ice rolling for 15-20 minutes, avoiding activities that increase the pain, self stretch techniques several times in a day, strengthening the sole muscles, balance exercises as shown in the picture above. Drugs such as ibuprofen or naproxen reduce pain and inflammation. Cortisone, a type of steroid, is a powerful anti-inflammatory medication. It can be injected into the plantar fascia to reduce inflammation and pain. Shoes with thick soles and extra cushioning can reduce pain with standing and walking. As you step and your heel strikes the ground, a significant amount of tension is placed on the fascia, which causes microtrauma (tiny tears in the tissue). A cushioned shoe or insert reduces this tension and the microtrauma that occurs with every step. 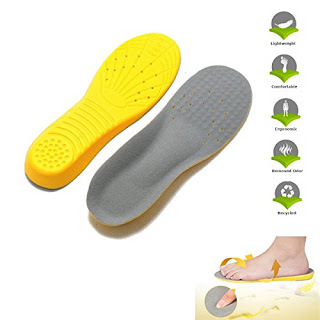 Soft silicone heel pads are inexpensive and work by elevating and cushioning your heel. Pre-made or custom orthotics (shoe inserts) are also helpful. Most people sleep with their feet pointed down. This relaxes the plantar fascia and is one of the reasons for morning heel pain. A night splint stretches the plantar fascia while you sleep. Although it can be difficult to sleep with, a night splint is very effective and does not have to be used once the pain is gone. we shall not discuss the surgical procedure. 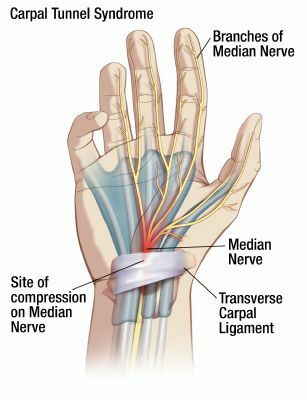 Carpal tunnel syndrome occurs when the median nerve is compressed at the wrist. The median nerve originates from cervical spinal nerves and controls movement and sensation to the palmer side of the hand, thumb, and fingers. The carpal tunnel, a narrow passageway in the wrist, is formed by bones on the bottom and sides and a ligament which composes the top of the tunnel. The tunnel also contains nine tendons that are connected to the bones and muscles of the hand. Under various circumstances these tendons may swell and enlarge causing compression of the median nerve against the ligamentous roof which results in the symptoms experienced in carpal tunnel syndrome. Numbness and a “pins and needles” sensation are the most common symptoms. Most often the thumb, index, and middle fingers are involved. Symptoms are often worse upon waking or during activities that involve flexing and extending of the wrist. As the syndrome worsens, decreased grip strength makes it difficult to perform tasks with the involved hand. Due to the fact that the median nerve emerges from the neck, it is important that the patient be thoroughly assessed to determine that the symptoms are not coming from a nerve entrapment (pinched nerve) in the neck, shoulder, or forearm. 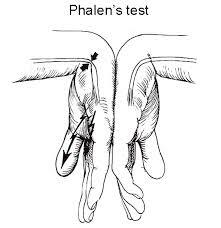 Phalen's test helps diagnose the problem, with compression of dorsal aspects of hands the numbness and tingling sensation aggrevates. Other test would include tinel's sign, X-ray to rule out bony abnormalities and EMG and NCV to determine the extend and detrimental effect of nerve compression. Physiotherapy treatment would comprise of modalities that includes US and IFT, stretching of median nerve (this also reduces the chances of double crush syndrome). Exercises would include reverse phalen's maneuver ( i.e namaste pose, with elbow and wrist at 90-90 position and shoulders resting by the sides) and strengthening of musculatures around the wrist. Tendon gliding exercises are also very helpful in increasing the mobility of tendons in the tunnel. RA is a chronic inflammatory disease. The cells lining the synovial membrane are activated by some process not yet understood, triggers the immunological response. These cells proliferates, resulting in thickening and inflammation of the synovial membrane. These cells are invasive, fibroblast like cell mass (called PANNUS), which is capable of eroding cartilage and bone. The synovial fluid accumulates, and the joint swells, distending the capsule, pulling on its periosteal attachment and causing pain and potential rupture. The ligaments and muscles around the joint are also subjected to weakness and potential rupture. Factors which may (suspected) evoke the immunological reactions are Climate, Race, Diet, Psychosomatic disorders, trauma, Endocrinal dysfunction, Hereditary, disturbance in autoimmune system and infections. Synovial Fluid examination reveals yellowish/greenish in colour, cloudy in clarity, low viscosity and neutrophills (75%) predominantly. 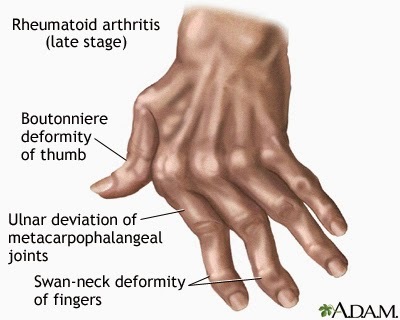 Deformities- wrist, small joints of hand, knee, elbow, shoulder, hip most commonly affected. 2. X- ray evidence of osteoporosis may be present. 4. Extra-articular soft tissue lesions, such as nodules and tenosynovitis may be present. 4. Extra articular soft tissue lesions such as nodules and tenosynovitis may be present. 2. criteria's of stage III. Limited in ability to perform usual self care, vocational and avocational activities. Usual self care activities include dressing, bathing, grooming and toileting. Avocational includes recreational and leisure activities. - There may be exacerbations and remissions during the course of the disease. 1. Monitor the activities and stop when discomfort or fatigue begins to develop. 3. Decrease level of activity or omit provoking activities if joint pain develops and persist for more than 1 hour. 4. Balance work and rest to avoid muscular and total body fatigue. 5. Increase rest during flare of the disease. the use of firm mattress minimizes the effect of mal-positioning thereby preserves the integrity of the joints. 7. Avoid prolong static positioning; change positions during the day every 20-30 mins. Ref- J. Maheswari, hall n broody. 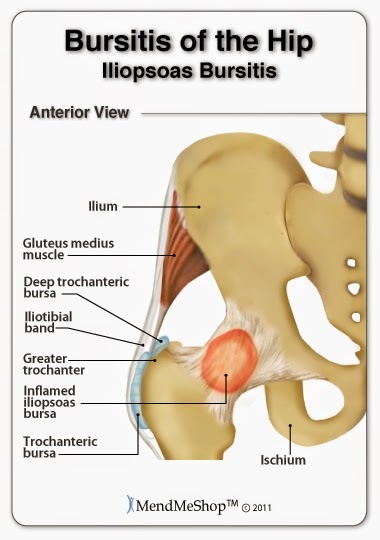 Pain over the lateral aspect of the hip and thigh may be due to local trauma or overuse, resulting in inflammation of the trochanteric bursa which lies deep to the tensor fascia lata. There is local tenderness and sometimes crepitus on flexing and extending the hip. Swelling is unusual but post-traumatic bleeding can produce a bursal haematoma. Other causes of pain and tenderness over the greater trochanter are stress fracture (in athletes and elderly patients), slipped epiphysis (in adolescents) and bone infections (in children). The common cause of misdiagnosis is referred pain from the lumbar spine. The usual treatment is rest, Physiotherapy, NSAIDs, and injection of local anaesthetic and corticosteriod (provided infection is excluded). If a haematoma is present should be drained. In Physiotherapy, cold compression, ultrasonic therapy and TENS can help reduce pain and swelling. Acute tendinitis may cause pain and localized tenderness just behind the greater trochanter. This is seen particularly in dancers and athletes. The clinic finding and X-ray features are similar to those of trocanteric bursitis, andthe deferential diagnosis is the same. Treatment protocol is also almost the same. This overuse injury is often seen in footballers and athletes. The patients complains of pain in the groin and tenderness can be localized to the adductor longus origin, close to pubis. Swelling below this site may signify an adductor longus tear. Acute strains are treated with rest and heat., while chronic strains may need prolonged PHYSIOTHERAPY. 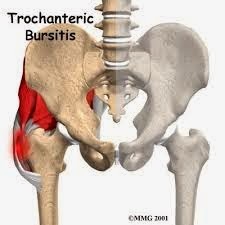 Pain in the groin and anterior thigh may be due to an iliopsoas bursitis. The site of tenderness is difficult to define and there be guarding of the mussels overlying the lesser trochanter. Hip movements are sometimes restricted; indeed, the condition may arise from synovitis of the hip joint since there is often potential communication between the bursa and joint. The most typical feature is a sharp pain on adduction and internal rotation of the hip. Pain is also elicited by testing psoas contraction against resistance. The differential diagnosis of anterior hip pain includes lymphadenopathy, hernia, a psoas abscess, fracture of the lesser trochanter, slipped epiphysis, local infection and arthritis. 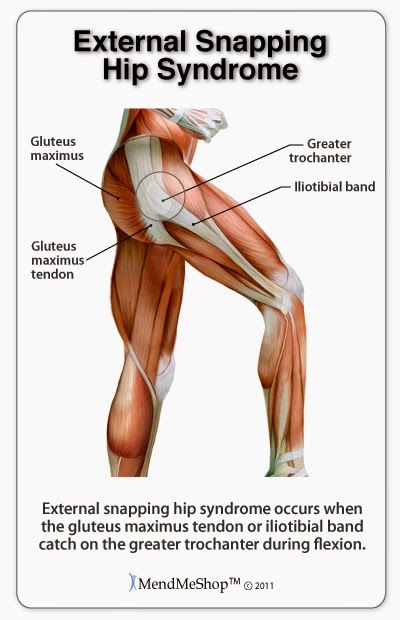 Snapping hip is a disorder in which the patient (usually women) complains of hip ‘jumping out of place, or catching’, during walking. 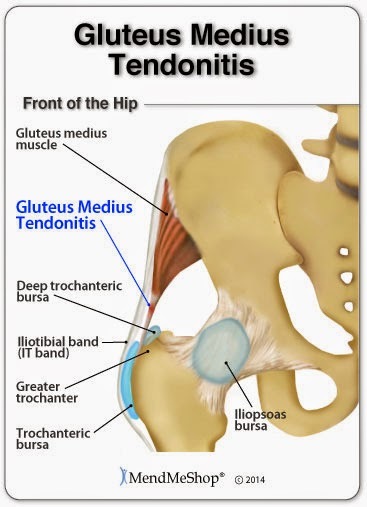 The snapping is caused by a thickened band in the gluteus maximus aponeurosis flipping over the greater trochanter. In the swing phase of walking the band moves anteriorly; then, in the stance phase, as the gluteus maximus contracts and pull the hip in extension, the band slips back across the trochanter causing an audible snap. 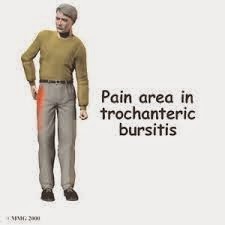 This is usually painless but can be quite distressing, especially if the hip gives way. Sometimes there is tenderness around the hip, and it may be possible to reproduce the peculiar sensation by flexing and extending the hip while the patient contracts the abductors. Treatment of the snapping tendon is usually unnecessary, the patient merely needs an explanation and reassurance. Occasionally, though if discomfort is marked, the band can be either divided or lengthened by Z- plasty. A sprained ankle or twisted ankle is a common cause of ankle pain. More common is an inversion sprain (or lateral collateral ligament sprain) where the ankle turns over so the sole of the foot faces inwards, damaging the ligaments on the outside of the ankle. A medial ligament sprain is rare but can occur particularly with a fracture. This happens when the ankle rolls the other way, so the sole of the foot faces outwards, damaging the ligaments on the inside of the ankle. 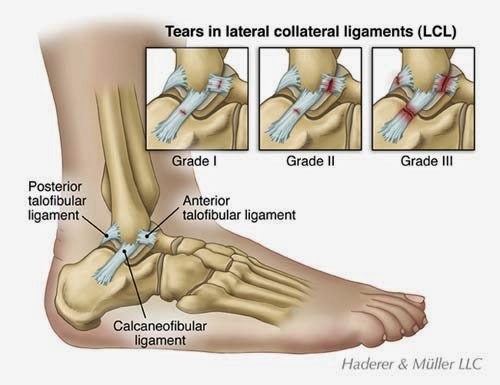 The lateral collateral ligament comprises of 3 bands connecting the fibula anteriorly and posteriorly with the talus and with a 3rd band on the sides with the calcaneum. Severe the injury more the no. of bands injured. In addition to the ligament damage there may also be damage to tendons, bone and other joint tissues, that is why it is important to get a professional to diagnose your ankle sprain. Sprained ankles, as with all ligaments sprains, are divided into grades. Aim to reduce the swelling by PRICE as soon as possible. P is for PROTECTION. The injured ankle should be protected with utmost care to prevent any further injury. R is for REST. It is important to rest the injury to reduce pain and prevent further damage. Use crutches it necessary. Many therapists advocate partial weight bearing as soon as pain will allow. This is thought to accelerate rehabilitation. 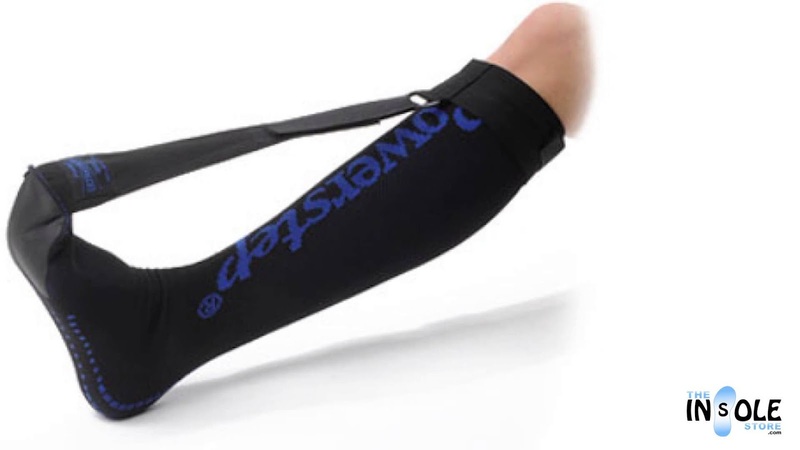 C is for COMPRESSION - This reduces bleeding and helps reduce swelling. E is for ELEVATION - Uses of gravity to reduce bleeding and swelling by allowing fluids to move away from the site of injury. In cases of severely injured ankle (grade 2 and 3) cast can be applied for 3-6 week as per the orthopaedics decision. At times surgical intervention may be needed. Following the initial painful stage in grade 1 treated with PRICE and after removal of cast in severe cases, physiotherapy treatment can help the ankle return to normal as soon as possible. Physiotherapeutic modalities like LASER therapy, Ultrasonic therapy and TENS can help reduce pain further and promote healing. Hot fomentation can increase the circulation of the area which further promote healing and increase the pliability of the tissues. Wax bath instead of hot fermentation can be used in cases where cast was applied. To strengthen the soft tissues around the ankle start with gentle isometric (tension building without movement) exercises, followed by range of motion exercises within the painfree limits. As for e.g.. writing the alphabets A-Z with the great toe on the floor, heal raises in sitting etc. Approach your physiotherapist to learn more. Strength can be further developed though resisted exercises with the help of therabands. The techniques like cross frictional massage and ligament stretching can be implemented to prevent adhession formation and to maintain the flexibility of the ligaments. This helps to reduce the chances of recurrent ankle sprain problems. The calf muscles often tighten up to protect the joint following a sprained ankle, and so gently stretching the calf muscles can also help to maintain movement at the joint. A wobble balance board is an important part of rehabilitation of ankle sprains to improve the proprioception (joint sense) which generally gets hampered after any injury. Contact Pain Free Physiotherapy Clinic for Physiotherapy treatment of ankle sprain. The knee is a hinge-joint formed between the tibia (lower bone) and femur (upper bone), also called Tibiofemoral joint, which is dived into medial and lateral compartment. The patella glides over the front of femoral condyles to form a patellofemoral joint. In addition, there is superior tibiofibular joint between the tibia and the head of fibula(outer leg bone). The knee joint is particularly susceptible to traumatic injury because it depends more on the ligaments due to less musculature around it for its strength and stability. The space between the tibia and femur is partially filled by two menisci (inner and outer sides) that are attached to add congruency. They aid in lubrication and nutrition of the joint and act as shock absorbers. Prevents posterior (back) translation of the tibia on the femur. It must also be remembered that the lumbar spine (lower back), hip, and ankle may refer pain to the knee, and these joints must be assessed if it appears that joints other than the knee may be involved. § Knee osteoarthritis: Osteoarthritis is the most common form of arthritis, and often affects the knees. Caused by aging and wear and tear of cartilage, osteoarthritis symptoms may include knee pain, stiffness, and swelling. § Meniscal tear: Damage to a meniscus, the cartilage that cushions the knee, often occurs with twisting the knee. Large tears may cause the knee to lock. § ACL (anterior cruciate ligament) strain or tear: The ACL is responsible for a large part of the knee’s stability. An ACL tear often leads to the knee “giving out,” and may require surgical repair. 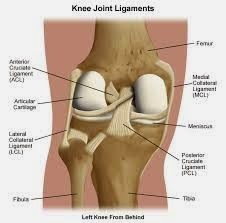 § PCL (posterior cruciate ligament) strain or tear: PCL tears can cause pain, swelling, and knee instability. These injuries are less common than ACL tears, and physical therapy (rather than surgery) is usually the best option. § MCL (medial collateral ligament) strain or tear: This injury may cause pain and possible instability to the inner side of the knee. 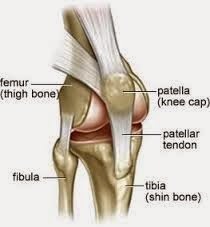 § Patellar tendonitis: Inflammation of the tendon connecting the kneecap (patella) to the shin bone. This occurs mostly in athletes from repeated jumping. We all know that your physiotherapist is an expert in the prescription of exercise appropriate to you and your injury or fitness level. As a part of their physiotherapy training, your physiotherapist not only is educated in injury diagnosis but also in exercise physiology or the science of exercise. This enables your physiotherapist to not only assess and diagnose your injury but also to prescribe injury, fitness or age-appropriate exercises targeted to you at that point in time. You'll find that your physiotherapist will thoroughly examine you and prescribe a series of exercises suitable for you in quantities that will not injure you further. Please seek an exercise expert, such as your physiotherapist, when you are planning your rehabilitation. What Happens When You Stop Exercises? It is also important to understand that even if you are "in good shape," you may have weak localised or stability muscles. 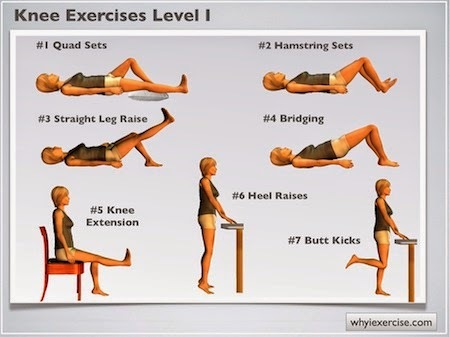 When you have an injury, you should perform specific exercises that specifically strengthen the muscles around your injury and the adjacent joints. Your physiotherapist will assess your muscle function and prescribe the right exercises specific for your needs. Would You Stop Your Daily Prescribed Drugs? When your physiotherapist prescribes your individualised dose or exercises, they are using their professional expertise to optimise your exercise dose. Would you just stop taking your regular blood pressure medication because you were too busy or didn't think it was working? I would hope not! Exercise when prescribed by an expert such as your physiotherapist should be treated as your mandatory dose as prescribed by your physiotherapist. Just like when you don;t take your blood pressure medication, you can't expect the drugs to work of you don't take it as prescribed by your health professional! So, next time you skip your "exercise dose" just remember that you are not putting your health first. If you have any questions, please contact PAIN FREE PHYSIOTHERAPY CLINIC.